The International Society for Transgenic Technologies (ISTT) is pleased to announce the awardee for the 6th ISTT Young Investigator Award. The ISTT created the Young Investigator Award to identify and recognize young scientists who will keep the field of transgenic technologies vibrant with new ideas and innovative research. 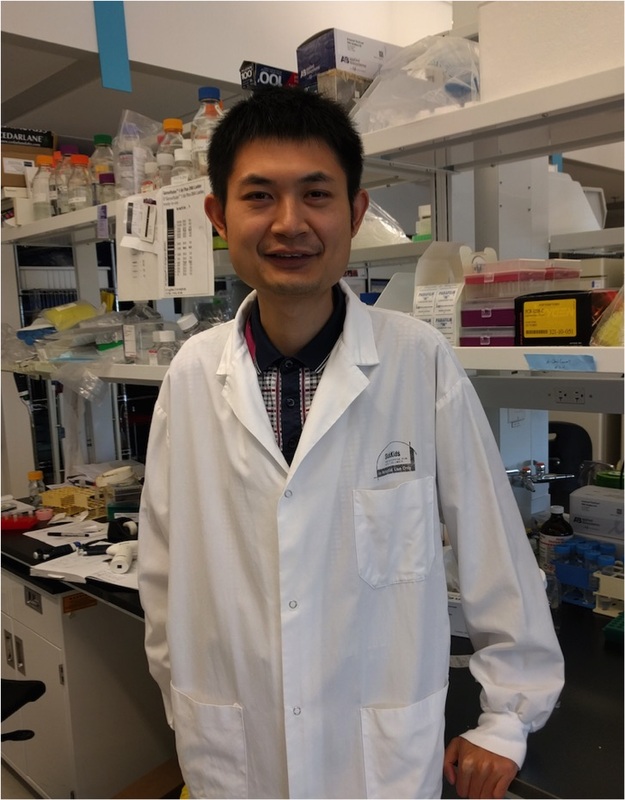 After careful evaluation of the nominated candidates, the Award Evaluation Committee unanimously selected Dr. Bin Gu, a Postdoctoral fellow in the Developmental and Stem Cell Biology Program, The Hospital for Sick Children, Toronto, Ontario. Bin was nominated by Wojtek Auerbach (ISTT President) and Thom Saunders (former ISTT Vice-President). NABR has filed an official complaint with the U.S. Department of Transportation (DOT) regarding the refusal of major airlines to carry animals for the purpose of research. Opponents to animal research have now activated their grassroots networks and are flooding the docket with individual comments.The ISTT has written a letter of support to show the DOT how critical this issue is to the future of biomedical research. The International Society for Transgenic Technologies (ISTT) is pleased to announce that the 12th ISTT Prize will be awarded to Dr. Lluis Montoliu for his seminal work on YAC transgenesis that led the way for large DNA modifications in the mouse, and for his work in establishment of the ISTT. The ISTT Prize is awarded to investigators who have made outstanding contributions to the field of transgenic technologies. 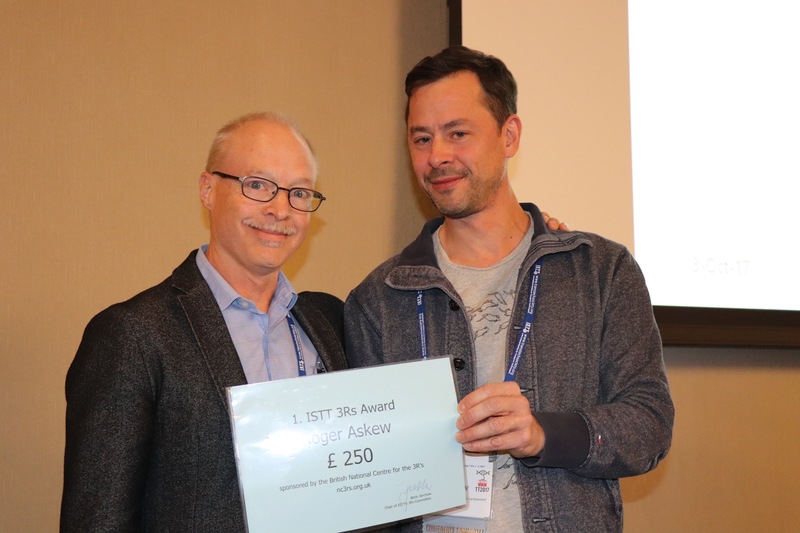 The awardee for the 12th ISTT Prize was chosen by the ISTT Prize Committee, which consists of the ISTT President, Vice President, Past President, the CEO of genOway (the company that generously sponsors the award), and all previous ISTT prize awardees. The Award Committee considered that Dr. Montoliu’s work that established artificial chromosome-type mouse transgenesis led to a new foray into genetically modified organisms that allowed for inclusion of critical regulatory elements that were often missing in previous experiments, thereby represents a major improvement in transgenic technology. In addition, he also seeded the development of an inclusive organization that would represent the needs and interests of transgenic technologists, not only researchers but also technicians and others involved in the generation and analysis of transgenic animals, which came to full fruition and was founded as the International Society of Transgenic Technologies (ISTT), in January of 2006, and served as the first President from 2006 to 2014. The ISTT is a scientific society whose members are generating and/or studying genetically modified animals and often engaged in assisted reproductive technologies. Although the use of animals is currently unavoidable we recognize that work is being done to develop alternative non-animal models in keeping with the 3Rs principle of replacement. Our membership is aware of our responsibility towards the animals we use for our work including the expectation that animal use will be reduced and the lifetime experience of experimental animals refined in accordance with the 3Rs principles of humane experimental technique. This year, we were thrilled to host the 3rd Oceania mouse TART symposium at the University of New South Wales (UNSW) in Sydney. The organising committee (Fabien Delerue - UNSW, Irma Villaflor - CMRI, Elizabeth Williams - UQBR and Karen Brennan - VCCRI) wishes to thank all participants and attendees, for what was certainly an unprecedented success. We totalled an unexpected 143 registrations; several attendees came from overseas (e.g. New-Zealand, Japan, USA, France, Spain) to listen to 27 speakers and browse through 14 posters over 2 days, illustrating the incredible level of interest and commitment displayed during the entire symposium. Similarly, the level of support was outstanding with 29 sponsors, including 11 trade-displays. The committee would like to thank all sponsors (including the ISTT) for largely contributing to the success of the symposium. 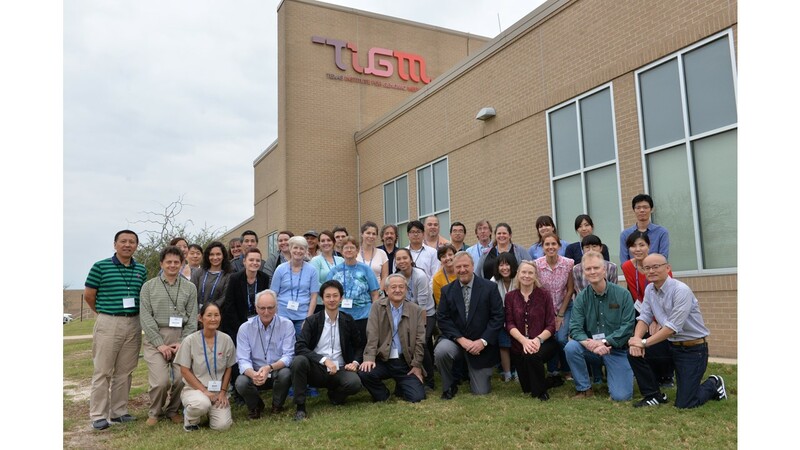 The CARD-Texas Mouse Reproductive Technology Workshop was held on November 14th-18th 2017 at the Texas A&M Institute for Genomic Medicine (TIGM) in College Station, Texas. The workshop was organized by Naomi Nakagata and Toru Takeo of the Center for Animal Resources and Development (CARD) at Kumamoto University, Andrei Golovko and Benjamin Morpurgo of TIGM, Jan Parker-Thornburg of The University of Texas M.D. Anderson Cancer Center, and William Shawlot of The University of Texas at Austin. Nineteen students and seventeen instructors and lecturers participated in the five-day lecture and hands-on workshop. Jim Murray of UC Davis organised the brilliant conference, TARC XI, on all things relating to transgenic - and now genome edited - large animals. 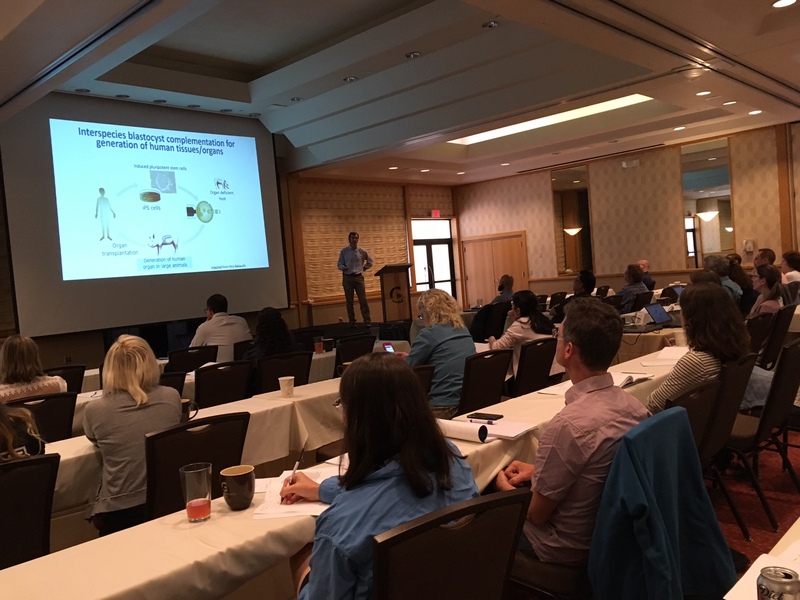 The conference was held at the Granlibakken Conference Center in Tahoe City, California USA from August 13th to 17th, 2017. The International Society for Transgenic Technologies (ISTT) is pleased to announce that Dr. Alexis Komor is the awardee for the 5th ISTT Young Investigator Award, generously sponsored by ingenious targeting laboratory (iTL). The new and accelerating technical development of the CRISPR/Cas9 system opens up for the possibility of targeted genetic modifications in germline competent human embryos. This is an avenue, which until very recently has been regarded as absolutely off limits. To cross the border between genetic modifications of somatic cells and germline cells was simply not conceivable, at least in most Western countries. Indeed, the border has not yet been crossed, but we are getting closer.